I wish there was a way that as soon as you clicked on this post Solli Raphael's video started to play. I wish I was absolutely sure you had watched it. Because that is really the only reason for this post. For me to make sure you hear 12-year old, award winning, Solli's words. Because Solli is the future, and his poem is a gift. In a world which has gone to s***, a world Solli eloquently paints in his poem, he represents hope. Hope that his generation, our future, is suitably repelled by the mistakes of their parents to carve a new way forward. To breathe the air Solli breathes throughout the poem. In fact, Solli actually is the future. 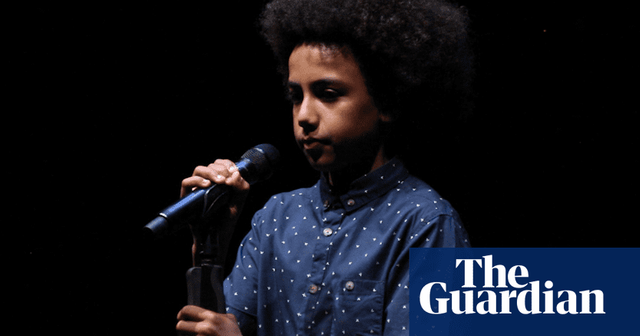 He became the youngest winner of the Australian Slam Poetry Competition in 2017 when he was 12. This video of the winning poem Australian Air - complete with its 4 million plus views - has been doing the rounds for some time. Oratory is an ancient art, one of the oldest ways to communicate. Making words beautiful, imbuing each one with power, willing the listener to actually hear is transformative. And the more compelling and memorable, the more the words will be shared - passed on, their message moving between people, stretching across geographies and spanning time. And with his poem, Solli careers this ancient art form into the 21st century; splashed across social media, downloaded onto phones and laptops, ready to be shared, shared, shared, shared, shared... Much of Australian Air's life is realised in its digital air time. I love this symbiotic, yet juxtaposed, relationship. In a world where we bemoan screen time, the overuse of phones, the dangers of the internet - particularly among our young (I myself have been known to complain about phone misuse to my own 12 year old on 'occasion') - the fact that Solli's poem is somehow more because of its internet fame - is a categorical win. It is the perfect marriage of ancient and new, and the way we should ALL be thinking. How can I get my message across to the best audience? Are my words fit for purpose? Am I getting them out there in the right way? Like Solli, how can I score a poetry slam dunk? Perhaps just one more, lung filling, watch for inspiration - we could all learn something from a 12 year old (even if they aren't 12 any more).